Frost & Sullivan believes that effective business communications, tightly integrated with core business workflows and applications, are fundamental to the success of every company. Unfortunately, when businesses go through the digital transformation process, communications tools are frequently overlooked. 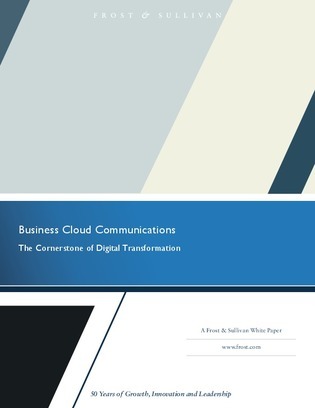 This Frost & Sullivan white paper highlights the key areas where an organization’s communications strategy intersects with its digital transformation efforts, and the benefits this could bring to business.